#1- “The Weekend Winner.” Last weekend, 2 wide new releases entered the Top Ten of the box office arena. And even though Fast & Furious 6 finished in second place, it still is enjoying a good run as it has just passed the $200M mark domestically right along side Star Trek Into Darkness. Almost as expected, The Purge is enjoying its short-lived run at first place as thrillers such as these usually open strong. It will submit to Man of Steel this weekend. #2- “Superhero Photo roundup.” Here are some of the latest shots from upcoming superhero movies. Below you will find a gallery for Man of Steel, X-Men: Days of Future Past, The Wolverine, Captain America: The Winter Soldier and Thor: The Dark World. Click any of the photos for a fullscreen slideshow. 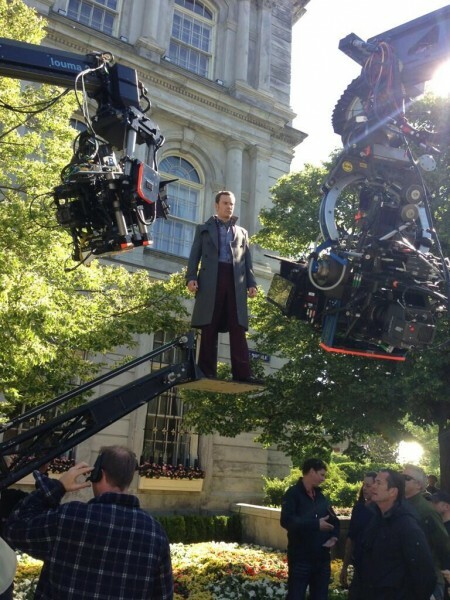 Check out this cool photo of Magneto rising for X-Men: Days of Future Past. Which superhero movie are you most excited for? I’m willing to bet the majority of responses right now are Man of Steel. What do you think of R’ha? Do you like short films? 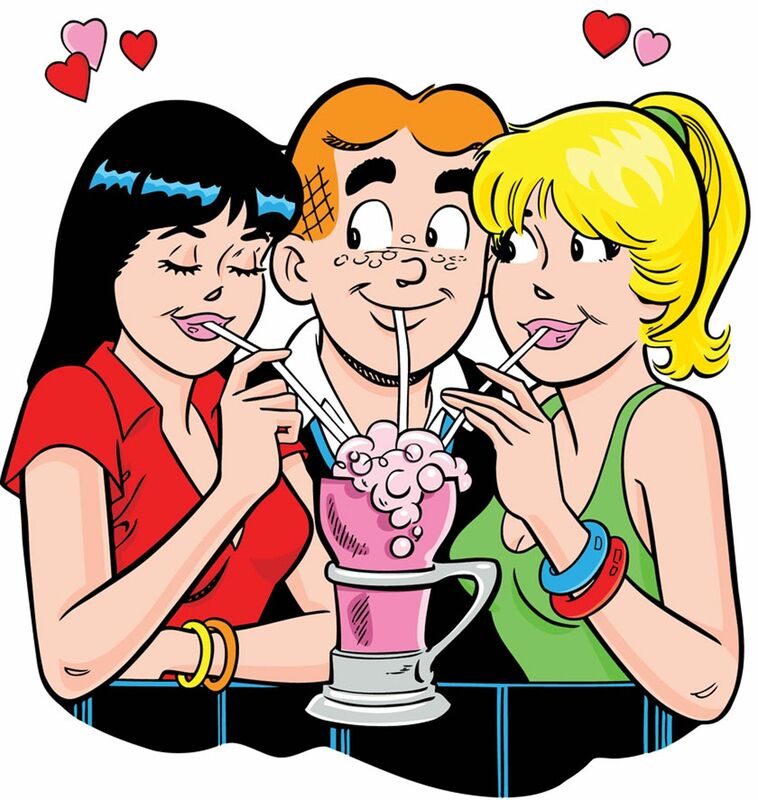 #4- “Archie coming to Hollywood!” Remember the crew? Pretty much the pre-GLEE, pre-SavedByTheBell highschool group to follow! ARCHIE! Well, I’m not sure yet, but it will be interesting to see what develops from this. I liked reading the comics so a movie may not be so bad. Thanks to ClevverMovies. Are you ready for interested in an Archie movie? What about a zombie-Archie movie? Hansel & Gretel: Witch Hunters– I know, it seemed too ridiculous. But, believe it or not, this R-rated retold fairytale continuation starring Jeremy Renner, Gemma Arterton, Famke Janssen and more was a lot of fun. If you get the chance, I even recommend seeing it in 3D. Watch as Hansel and Gretel hunt down witches 15 years after their famous encounter with a witch that tried to eat them in a gingerbread house. Invite them into your house this week. Check out my full thoughts in my review for this film HERE. Also releasing: Oz: The Great and Powerful (read my REVIEW), Snitch (read my REVIEW), Necessary Roughness and more. And don’t forget to stop by my friend FLIXCHATTER’s page as her amazing movie spotlight/review blog just celebrated it’s 4th anniversary! Congratulations! Join in on the festivities. Next “It’s Time to Vote Tuesday” 153! I forget where I first learned of R’ha. It was several months back on another blogger’s page, and I was very impressed. I look forward to seeing more. Thanks for visiting/commenting today! Archie!! Yay! I still have some of the comics at home!! I think I still have some too. It will be interesting to see how this one develops. Who do you think would play a good Archie? Thats a really good question…I don’t know. I need to think about it. Do you have anyone in mind? Armie Hammer, Zachary Levi, Alexander Skarsgård, Liam Hemsworth, and maybe even Zac Efron (as much as I’m not an Efron-Fan)?? I had thought about Liam Hemsworth..but then I’m like…maybe not. Can he really do the dorky role? I would be alright with him also. Alexander Skarsgard, I LOVE (for obvious reasons) *insert any scene with Eric* but he’s a tad tall. I mean is Archie that tall? Although I guarantee you I’d go see that one, even if it ends up sucking. Zac Efron might be a good bet. I didn’t associate it as he doesn’t have the same hair color..haha! But I totally see him in that role, I mean after High School Musical and all 😉 And definitely see Jesse Eisenberg as Jughead or maybe Michael Cera? I have no idea how tall Archie is. I even tried looking it up (hahaha, I’m a dork), but maybe if they cast all tall people then it would work? ha. oh man, I won’t be looking at Michael Cera the same for a while after just seeing This Is The End. LOL. You’ve inspired me to think and come up with a whole cast for Archie. I think I’ll do that between now and the weekend. haha. it’ll be interesting to see how this goes. ONE more day until Man of Steel!!!! Can’t you tell I’m super stoked, T? 😀 😀 I have yet another countdown post set for tomorrow, stay tuned!! Thanks so much for the mention too, and for all your support of course! I am super stoked for you! and am so very happy to see you celebrate year#4! Thanks for being such a great friend. Wow, they managed to make Beast look even worse than before. Speaking of things that look bad, that Hansel and Gretal cover is awful! That Rha looks interesting. I may have to check it out.